Is The Alfa Romeo Giulia's Future In Trouble? The sales figures aren't looking so hot. Despite all the rave reviews, ours included, of the new 2017 Alfa Romeo Giulia Quadrifoglio, its sales numbers are proving to be disappointing. The same goes for the base Giulia and mid-range Giulia Ti. According to GoodCarBadCar, a mere 2,482 Giulias have been sold so far this year. Yes, that figure includes the Quadrifoglio. To put that into clear perspective, rivals like the Audi A4 and BMW 3 Series were far more successful, with 15,379 and 22,548 units sold, respectively. A whopping 35,436 units of the Mercedes-Benz C-Class have rolled of dealer lots in that period as well. Cadillac has even managed to sell more ATS sedans and coupes, with 6,024 sold while Jaguar sold 4,528 XEs. This isn’t good news for Alfa Romeo, obviously. Question is, why? Is it because Alfa Romeo, as a brand, still has a stigma for being unreliable? Possibly, but we think the main reason is that people are craving crossovers more so than sedans, which isn’t anything new. Fortunately, the Alfa Romeo Stelvio is just arriving in dealerships, and it shares the Giulia’s platform. 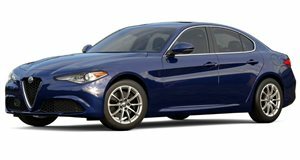 We also think the Giulia is guilty of being too late to the luxury sport sedan party. Those other brands, namely the German ones, long ago established themselves and it’s hard to lure their loyal buyers away. Simple as that. But for anyone still keen on picking up a Giulia, Alfa Romeo is offering some pretty sweet incentives. Cars Direct noted last month’s $1,750 incentive targeting owners of competing brands. Just this month, the Giulia Quadrifoglio is now being offered with a factory discount for the first time. The two lower level trims now have savings up to $3,500. These temporary incentives are all fine and good, but they don’t solve the big problem: declining interest in sedans. Even BMW 3 Series sales have dropped by 13.7 percent compared to this time last year. The German brands will very likely survive this slump, but we’re worried about Alfa Romeo, a great brand and legacy that’s trying so hard to re-establish itself.